McDonald is the Ransom Center's Nancy Inman and Marlene Nathan Meyerson Curator of Photography. In 2012, Magnum introduced the sale of carefully reproduced contact sheets, offering “the opportunity to own a piece of Magnum’s history.” Indeed the digital turn in photography has forced the contact sheet, once an inextricable part of the photographic process, into obsolescence. Contact sheets, made when negatives are printed directly in contact with photographic paper, gave photographers a first look at their images and provided an important tool for editing. They also serve as artifacts, revealing how photographers approach a subject and work through time and space. 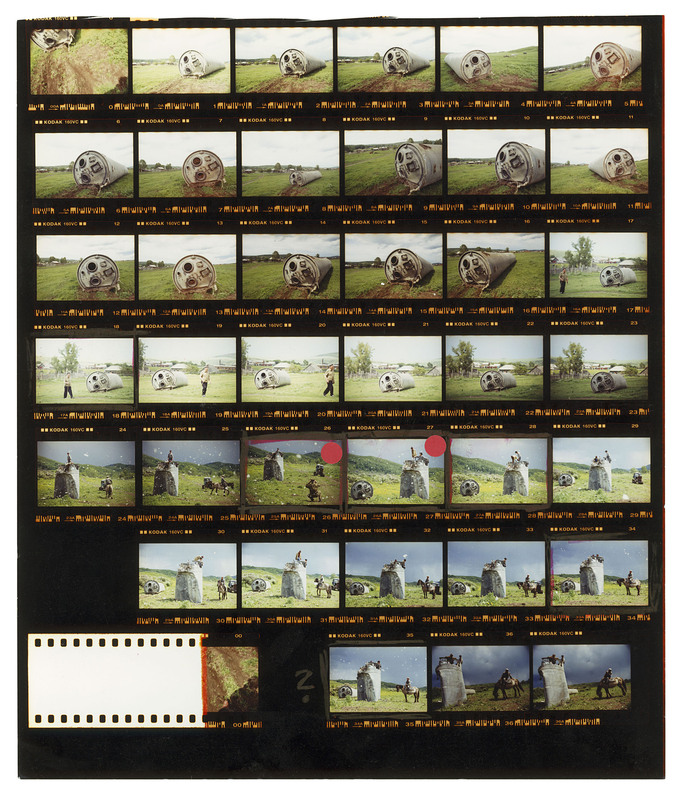 Bendicksen’s contact sheet and final image are on view through January 5 in the Ransom Center’s exhibition Radical Transformation: Magnum Photos into the Digital Age. Jonas Bendiksen. RUSSIA. Altai Territory. 2000. 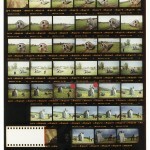 Contact sheet. © Jonas Bendiksen/Magnum Photos. Jonas Bendiksen. “Russia. Altai Territory. 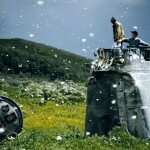 Villagers collecting scrap from a crashed spacecraft, surrounded by thousands of white butterflies. 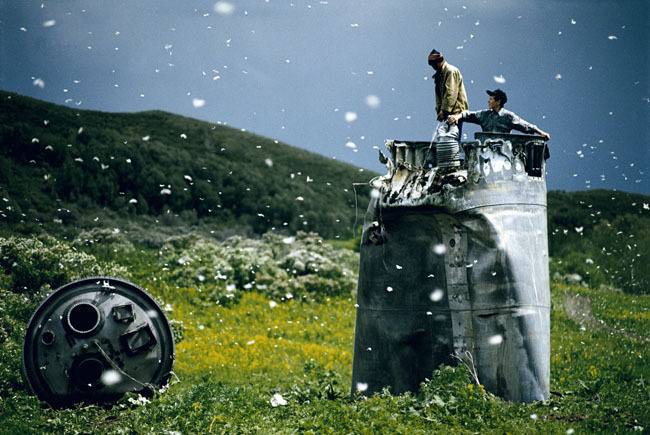 Environmentalists fear for the region’s future due to the toxic rocket fuel.” 2000 © Jonas Bendiksen/Magnum Photos. Susan Meiselas. “Nicaragua. Matagalpa. 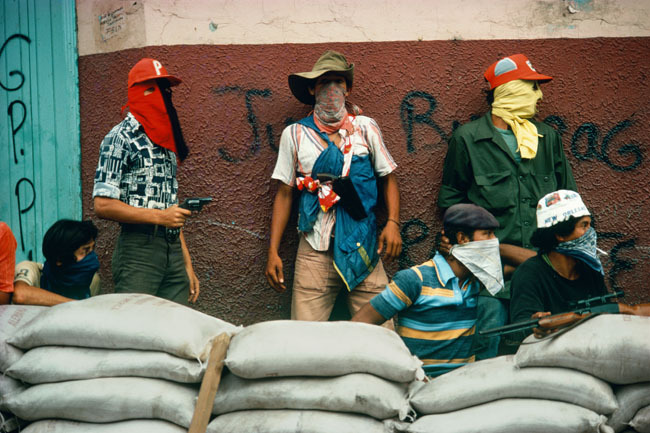 Muchachos await the counterattack by the National Guard.” 1978 © Susan Meiselas/Magnum Photos. In a stunning break with the black-and-white tradition of war photography, Susan Meiselas’s pulsating color images documenting the resistance against—and ultimate insurrection of—the brutal Somoza dynasty in Nicaragua were published in magazines and newspapers around the world. The revolutionaries quickly appropriated her photographs, adapting them for billboards, postage stamps, posters, and other imagery in support of their cause. In 1981 Meiselas (b. 1948) published her landmark book Nicaragua, June 1978–July 1979, combining photographs, historical documentation, and the personal testimony of Nicaraguans in an attempt to “overcome the sensational quality of fragmentary news reports by placing these events in the context of an evolving political process.” Retracing her steps, she returned to Nicaragua in 1991 for the film Pictures from a Revolution, and again in 2004 for the project Reframing History, an installation of 19 mural-size enlargements of her original photographs at the sites where they were first made, reigniting discussions about the past and reconsiderations of dreams once held of a better future. For some Magnum photographers, picture stories published in magazines and newspapers represent just the first stage in the development of a much larger project. 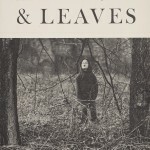 Some consider the book the ideal platform for extended visual narratives. Conceived independently and conducted outside the traditional framework of photojournalism, books have become a mainstay of documentary practice and an integral part of Magnum’s creative repertoire. Since the agency’s founding, Magnum Photos has published dozens of group projects, and its members have collectively produced over 1,000 volumes that together form both a history of Magnum and a history of the modern world. Josef Koudelka. “Czechoslovakia. Slovakia. Michalovce.” 1966 © Josef Koudelka/Magnum Photos. 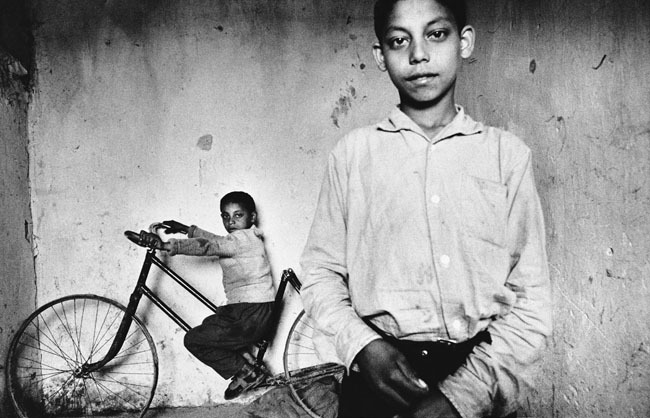 Initially drawn to their traditional folk music, Josef Koudelka (b. 1939) photographed the nomadic Romani people—or Gypsies—of Czechoslovakia and Romania for nearly ten years. Most of the photographs in his seminal 1975 book Gypsies were taken in Eastern Slovakia between 1962 and 1968. 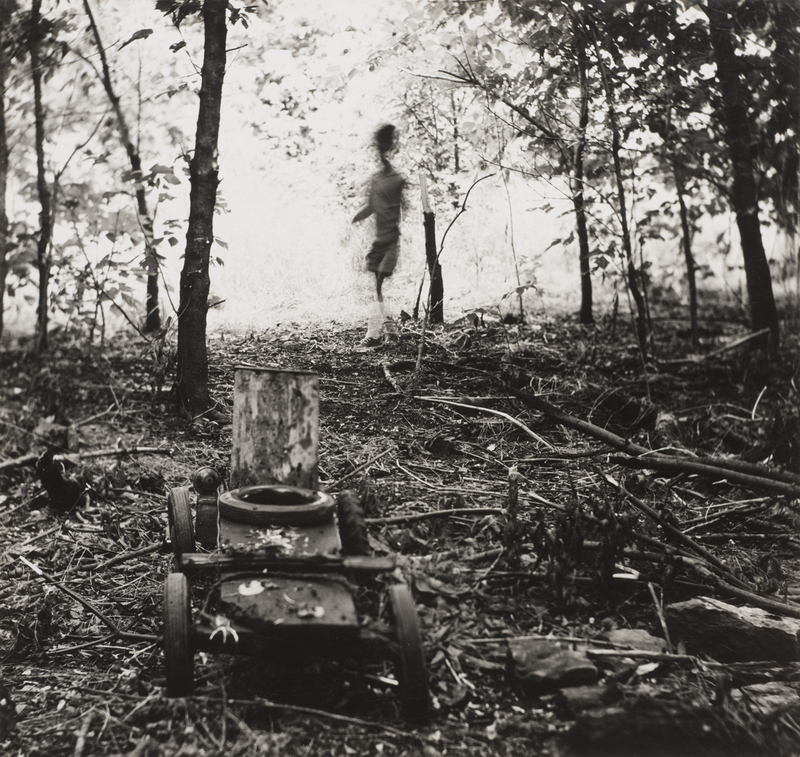 In his sensitive study of these communities, Koudelka examined the remnants of a threatened way of life after government efforts to assimilate the Gypsies confined them to grim settlements lacking basic utilities or sanitation services. Something of a nomad himself and forced to seek political asylum after escaping the Czech Republic early in his career, Koudelka has often lived as his subjects do, fostering a shared experience and sense of respect that is discernible in his photographs. 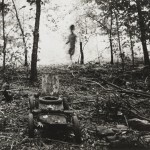 In the Ransom Center’s exhibition Radical Transformation: Magnum Photos into the Digital Age, on view through January 5, this photograph is presented with four others from the series, as well as a copy of Koudelka’s book, one of several pioneering publications by Magnum photographers highlighted in the exhibition. 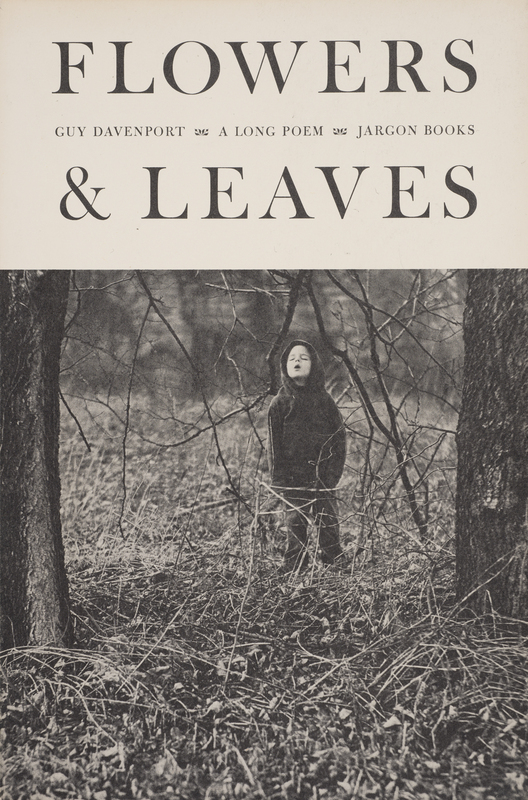 There were few publishers for photography books during Magnum’s first decades, but when photography gradually gained widespread acceptance as an art form in the 1970s, publishing houses began to embrace the medium. Photographers aspiring to use the book form to give a more sophisticated account of world events and personal journeys now had more models to guide them. These books employed complex sequencing and innovative combinations of images and text; they displayed a nuanced understanding of layout and design and a standard of printing quality not previously associated with works of reportage. Koudelka will speak on a panel at the upcoming symposium “Magnum Photoso into the Digital Age.” The symposium takes place October 25–27. 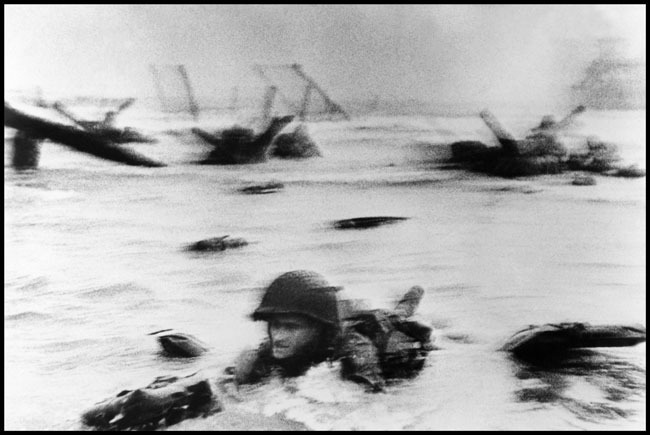 Robert Capa (1913–1954), proclaimed “The Greatest War Photographer in the World” by the Picture Post in 1938, famously created some of the only surviving photographs of the Allied Invasion of Normandy in 1944. When his rolls of film arrived for development at the Life magazine office in London, a darkroom assistant was told to rush the processing to get the photographs to New York for publication in the next issue. The assistant placed the newly developed film in a drying cabinet on high heat, melting the emulsion on three of the four rolls. 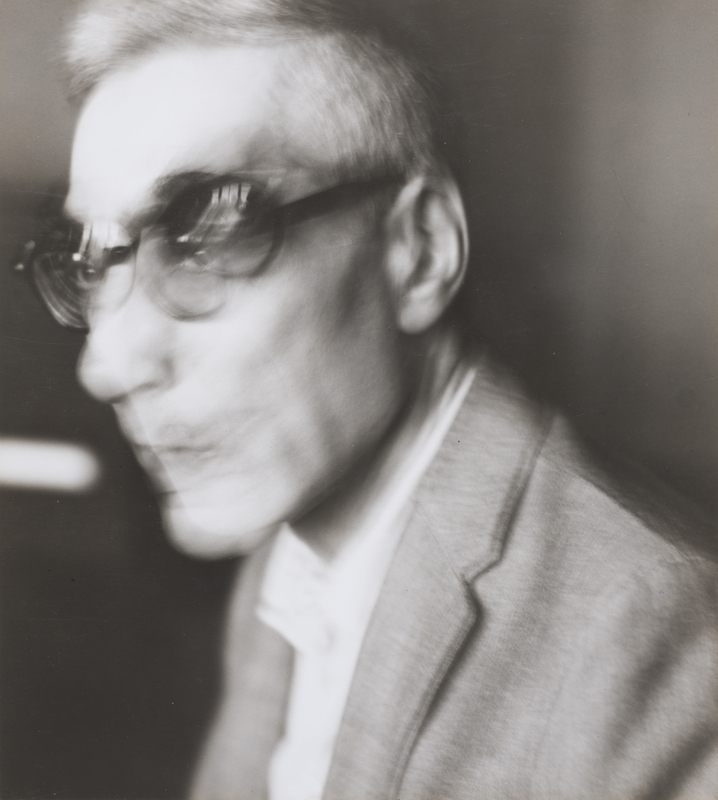 Luckily, ten images from the fourth roll were not entirely destroyed and appeared only “slightly out of focus,” the title Capa would cleverly give to his memoir in 1947. The blurred photographs became known for their sense of drama and immediacy, as Life’s story captions falsely attributed the blur to Capa’s trembling hands. 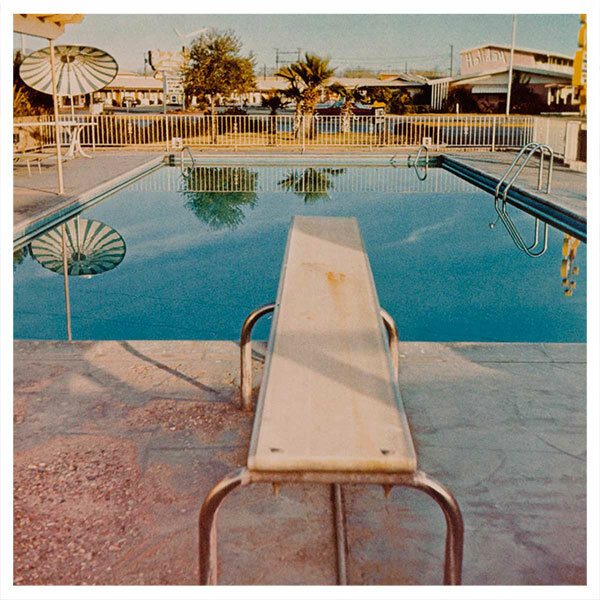 In the Ransom Center’s exhibition Radical Transformation: Magnum Photos into the Digital Age, on view through January 5, this photograph is presented in a way that shows both the front and back of the print. Visitors are able to see the stamps, inscriptions, reference numbers, and notes that trace the trajectory of this individual press print, one of nearly 200,000 recently donated to the Ransom Center. Also on view are four additional photographs from the larger group that constituted Capa’s D-Day picture story, facsimile versions of his handwritten captions submitted to Life magazine, and copies of the June 19, 1944 issue of Life showing how the story was published. Three years later, Capa and his close friends Henri Cartier-Bresson, George Rodger, and David “Chim” Seymour founded the Magnum Photos agency in the penthouse restaurant of the Museum of Modern Art in New York. (Photographer William Vandivert also joined the group but left after about a year.) These were photographers who had experienced a catastrophic war and were united by their belief in a shared obligation to be the historians of their own causes. Magnum Photos continues to be fully owned and supported by its members, numbering over 100 since its founding in 1947, with offices in New York, Paris, London, and Tokyo. Photography department intern Josephine Minhinnett contributed to this post.